Dennis Van Tine/STAR MAX via AP, Olivier Douliery-Pool/Getty ImagesOmarosa Manigault Newman attacked President Donald Trump in her new memoir but had lots of nice things to say about first lady Melania Trump. 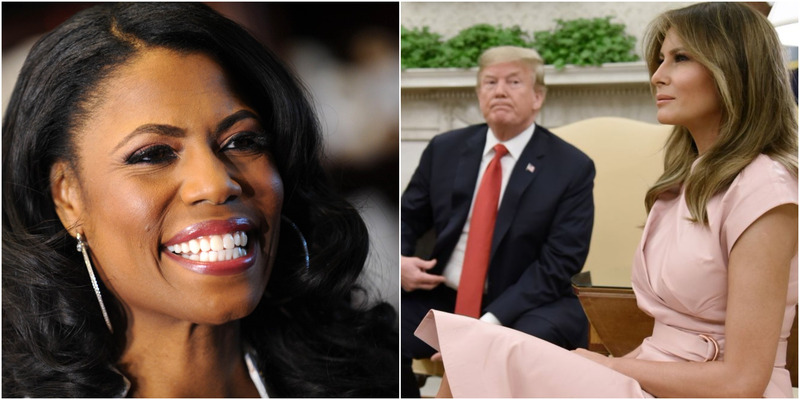 The former White House adviser Omarosa Manigault Newman’s new book hits hard against President Donald Trump but paints a more well-rounded picture of first lady Melania Trump. Manigault Newman describes the first lady as a dedicated wife and mother, and as someone who sometimes challenges her husband. The former White House adviser Omarosa Manigault Newman’s new book, “Unhinged: An Insider’s Account of the Trump White House,” which went on sale Tuesday, hits hard against President Donald Trump on nearly every page. But it paints a caring and complex picture of first lady Melania Trump. In 330 pages, Manigault Newman lobs a wide variety of allegations and insults at the president, calling him a “racist,” a “misogynist,” and a “bigot,” while saying much nicer things about the first lady. Manigault Newman, a three-time contestant on “The Apprentice,” first met the Trumps through the reality-TV show, then joined Donald Trump on the campaign trail and in the West Wing before the White House chief of staff, John Kelly, fired her in December. Manigault Newman wrote that Melania Trump was a dedicated and loving wife who “would gaze at him with adoration” even though the president behaved “like a dog off the leash” when he attended events without her. Getty Images/Chip SomodevillaMelania Trump and her son, Barron, attend the 140th annual Easter Egg Roll on the South Lawn of the White House on April 2. 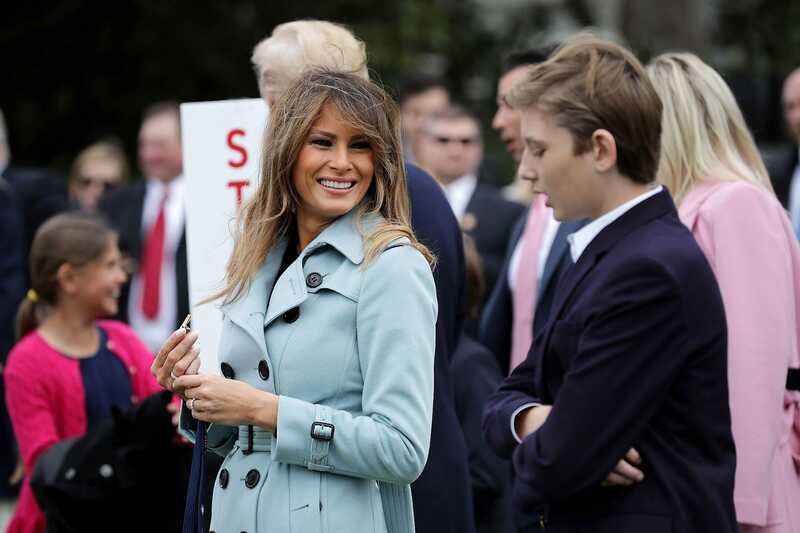 In 2015, the first lady told People magazine that when it comes to parenting, “I like to be hands-on,” adding: “I think it’s very important.” Also that year, she described herself as a “full-time mum” who prepares Barron’s meals and takes him to and from school. The parenting style she has described with Barron appears to differ from that of the president’s first wife, Ivana Trump, who reportedly had two nannies to take care of their three children. Donald Trump told the New York Post in October 2015 that he and Melania did have a live-in nanny, though it’s unclear whether they have one at the White House. Manigault Newman hypothesized that Melania Trump dresses strategically and sometimes uses her fashion choices to poke at the president – something that has previously been speculated. More recently, the first lady made headlines when she wore a green military-style jacket that said “I really don’t care, do u?” while boarding a plane to Texas to visit immigrant children amid the Trump administration’s “zero tolerance” immigration policy that led to the separation of thousands of children from their families at the US-Mexico border. Neither the White House nor Grisham immediately responded to Business Insider’s request for comment on this story. The White House press secretary, Sarah Huckabee Sanders, released a statement saying the book was “riddled with lies and false accusations,” and the president has been using Twitter to attack Manigault Newman’s credibility.